We look forward to welcoming you to Mercure Resort Hunter Valley Gardens, located in the heart of Hunter Valley Wine Country. Mercure Resort Hunter Valley Gardens is a premium 4.5 star property boasting the prime Hunter Valley central location. Walk to Hunter Valley Gardens, 5 cellar doors, restaurants, cafes and shops all from the convenience of your hotel room. The Resort features elements bar & dining, 72 well appointed rooms, a pool, sauna, spa, tennis courts and function space for conference and weddings. Take a break in the Hunter Valley to enjoy fine food and wine with Mercure Resort Hunter Valley Gardens. The name éléments is derived from the natural elements of fire, water and earth, components that resonate with the Hunter Valley region and are reflected in the entire restaurant experience. Elements bar is fully licensed with a local wine list featuring varied selections to cater for your individual tastes. A weekend with a difference!! This resort rates as a 4.5 star. I am aware that this is because of inclusions. If I had to rate it excluding the inclusions I would be lucky to give it 3 stars. Firstly we were given the wrong room. When we were given the room we booked we were disappointed. The "king" bed was actually 2 single bed put together with the ridge of the 2 beds very noticeable. If your were to "cuddle" in the middle of the bed it is very uncomfortable. All of the pillows are flat. The furniture is very old and has had many paint jobs. The shower recess was very dark with mould. If you wanted to watch the TV from the lounge it was not possible as the TV could not be turned. You had to be in bed to watch it. The positive note is that the restaurant serves very good food and the staff are very friendly. Also as a positive if you did not mind the room there were several cellar doors within walking distance. That made it easy to sample the wines. Overall excellent, however we had an issue with our meal on Saturday night for dinner, Haley your ESCELLENT day Manager was able to resolve the matter to every one's satisfaction. Good stay. Hotel good, staff great. Breakfast exemplary. The resort was beautiful on the outside, but the rooms were quite average. Great location and the overall atmosphere and presentation was great. A nice surprise. The hotel was a surprise, we loved lodge like layout of the lounge and bar area. The service was good in the dining room for all meals and they were delicious. The variety at breakfast was excellent. The room was comfortable, clean and tidy. The curtains could have covered the window better. Accommodation was very good, dinner restraught not so. Restraught needs more staff 2.5 hours from sit down to desert served not acceptable when room only two thirds full. Accommodation first rate along with grounds and breakfast. Staff very helpfull. Would stay again but dine elsewhere. I would like to thank the staff of Accor Hunter Valley Resort for looking after us at recent stay. The office staff went out of their way to ensure our stay was a memorable one. This was our sixth stay at the hotel and every time we have been treated as if it was our first stay. I thoroughly recommend this hotel. Room was dated and not cleaned properly. Room was dated and not cleaned properly. Bathroom was covered in dust, and toilet bowl had hair and stains. One of the towel had blacks marks all over. Thoroughly enjoyed our stay. Close to all the vineyards, nice breakfast and dinner and good value for money. Staff were friendly and helpful, the room was quiet although a bit dated. Good value for money as breakfast was included and was nice and dinner was too. Ideally situated to the vineyards and the Irish Pub. Great stay, friendly staff, clean room and great breakfast. 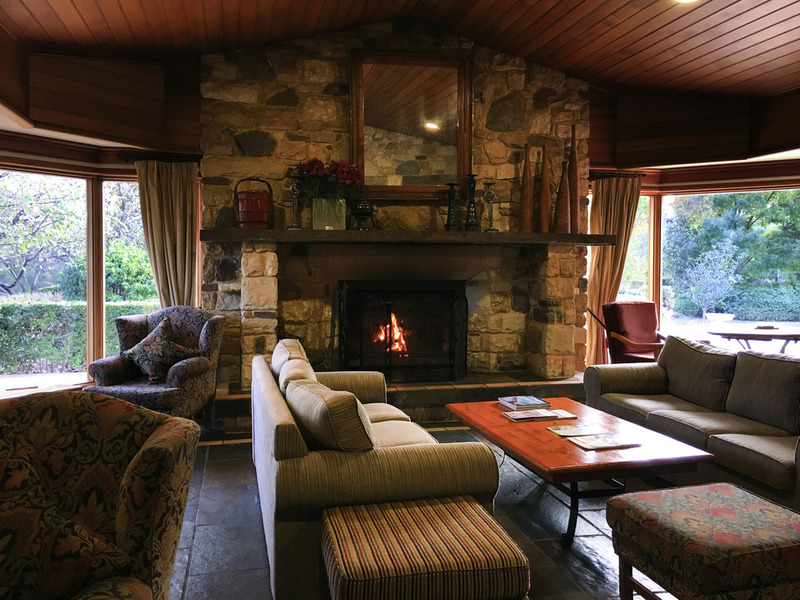 A 2 night stay to enjoy the Pokolbin area. My wife and I stayed here as a break from our trip home from Port Macquarie. Very central and staff were very nice. We chose the cheapest room and even so was very comfortable and roomy. Had dinner in the restaurant and the staff there were also very good. Would recommend this place to anyone that want/needs to stay in the Hunter Valley wine region. We will stay here again if in the area. Good location, with shopping and dining options within walking distance. Also enjoyed dining in the restaurant. Found the bed pillows too hard, even though there were 6 pillows between 2 people to choose from. We found the reception and front entrance needed a good sweep and mop. We had a lovely room which was spacious, clean and a lovely courtyard outside. Breakfast was great, with my husband describing the ‘best scrambled eggs he has ever had!’ Dinner at Elements was equally enjoyable. Steak and salmon cooked to perfection. Enjoyed our stay, good location for walking to nearby wineries and the beautiful Hunter Valkey Gardens. Great room and facilities. Resort is looking a little tired and could do with an uplift, mainly outside paintwork. Customer service was excellent. Rooms clean, little aged but had ambience. Staff helpful and friendly.